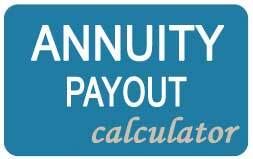 An annuity is a guaranteed stream of payments that will provide you with a regular income for your lifetime. You, nor your spouse if included, can outlive the income. 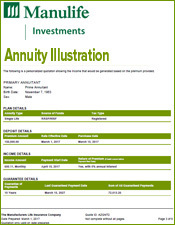 Below are 5 annuity illustration examples provided by the insurance companies. 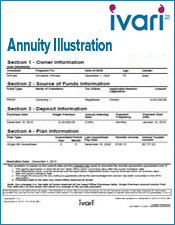 The annuitant is a male aged 68 years old. He is currently retired. 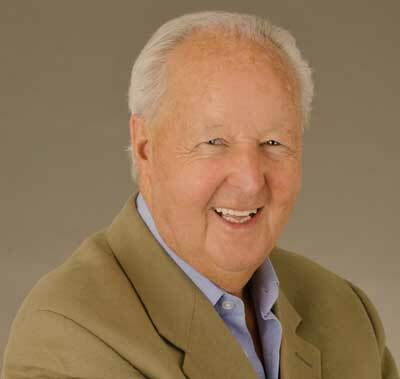 The annuitant lives in the province of British Columbia and has a RRSP account with TD Waterhouse. He does most of his investment transactions online. 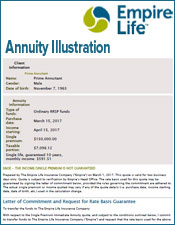 He has now transferred his stock into cash to purchase a life annuity. The annuitant purchased a single life annuity with $147,000 from Industrial Alliance Insurance. 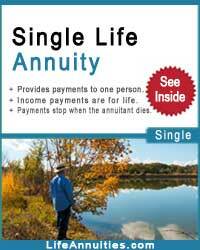 The life annuity will provide a monthly income of $825.44 for his lifetime, he will never be able to outlive the income. The life annuity income will help cover his fixed costs such as food, rent, electricity in his retirement. The annuitant is a female aged 60 years old. She is in her pre-retirement phase. 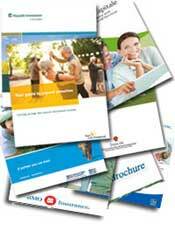 The annuitant lives in the province of Ontario and has a RRSP account with the BMO InvestorLine. She is looking to transfer her funds into the money market to purchase a life annuity. 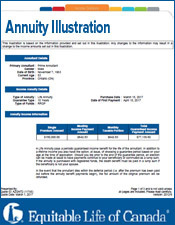 The annuitant purchased a single life annuity with $95,750 from Standard Life Insurance. She has several guarantee options to choose from but ultimately choses a 10 year option. The life annuity will provide a monthly income of $413.34 for her lifetime, she will never be able to outlive the income. Any remaining guaranteed payments at her death, are valued at a present day amount, taxed and the balance distributed to the heirs. The prime annuitant is a male aged 71 and the secondary annuitant is a female aged 60 years old. Both annuitants are retired. 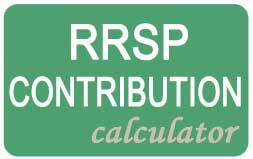 Both annuitants live in the province of Ontario and he has a RRSP account with the TD Canada Trust. His funds have been transferred into cash to purchase a joint life annuity which they will never outlive. 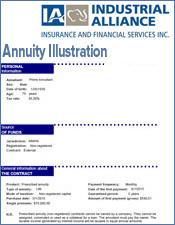 The annuitants purchased a joint life annuity with $500,000 from Sun Life Financial (Money for Life). 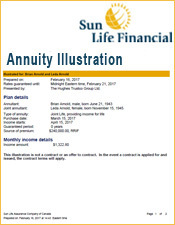 The life annuity will provide a monthly income of $2377.61 for their lifetime, and 20 years in any event. 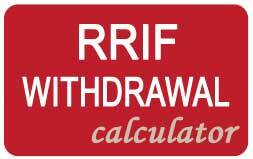 If one annuitant dies, the other will continue receiving a monthly income until their death. 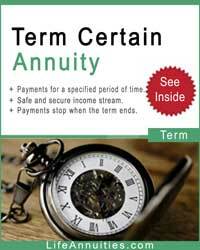 The prime annuitant is a male aged 65 and the secondary annuitant is a male aged 65 years old. Both annuitants are retired. 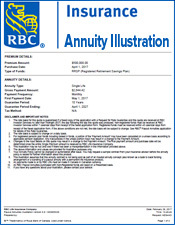 The annuitants live in the province of Ontario and the prime annuitant has a RRSP account with the Standard Life Insurance. 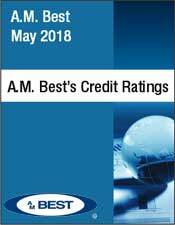 The annuitants are looking to transfer the funds into the money market while awaiting the purchase of a joint life annuity. 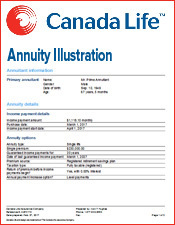 The annuitants purchased a joint life annuity with $250,000 from Canada Life. 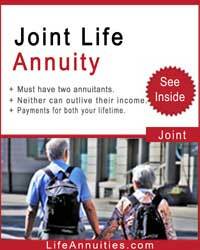 The joint life annuity will provide a monthly income of $1163.62 for their lifetime, which they will not outlive. The prime annuitant is a female aged 59 and the secondary annuitant is a female aged 60 years old. Both annuitants are approaching retirement. 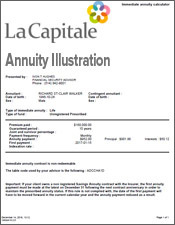 The annuitants live in the province of Ontario and the prime annuitant has a RRSP account with Questrade. 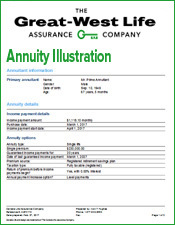 The annuitants are looking to transfer all of the funds into cash to purchase a joint life annuity. 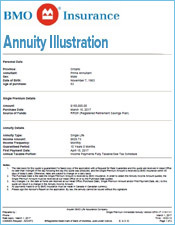 The annuitants purchased a joint life annuity with $100,000 from Transamerica Life Insurance. 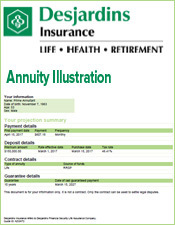 The joint life annuity will provide a monthly income of $318.58 for their lifetimes.